We are excited to announce a very special Behind the Scenes exploration tour on March 31st at 6:30 pm inside the landmarked Art Deco Skyscraper 70 Pine, once the tallest skyscraper in downtown New York City. This celebrated building has been inaccessible to the public for decades, due to the changing fortunes of the Wall Street companies that owned it. Fresh off a three year renovation by Rose Associates, the skyscraper has been transformed into both a prime residential property as well as a retail destination, anchored amidst gorgeous Art Deco details. 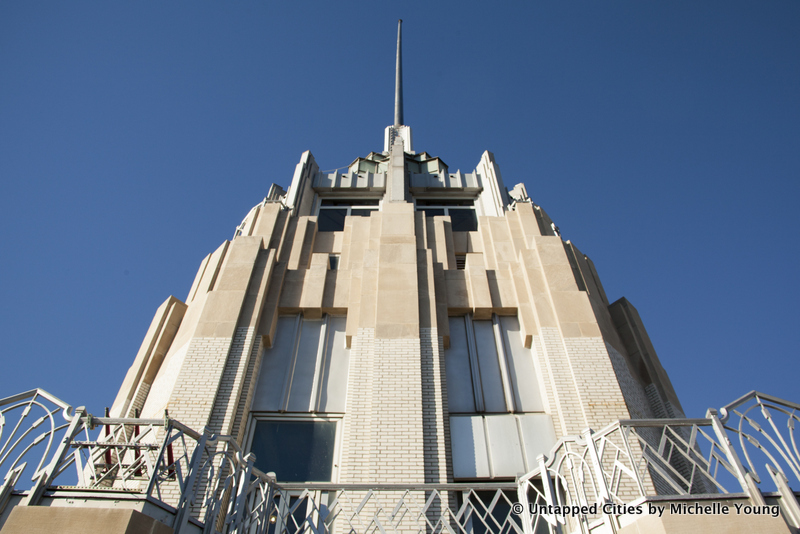 On this tour, led by urban explorer, author and urban planner, Moses Gates, and George Drallios, Senior Project Manager for Rose Associates, guests will visit the stunning landmarked lobby, the lower level, observation decks and upper floors on levels 63, 64 and 66, which remain in a raw state with original Art Deco details. These levels will ultimately be a restaurant and lounge. 70 Pine has been open for residential leasing since December, and we will also visit model apartments inside. When the restaurant is completed, the 66th floor will likely take the title for highest eatery in New York City, above the Rainbow Room at Rockefeller Center. We can’t say enough how beautiful this building is, from the marble lobby to the wraparound terraces on the observation decks, to the spire, which was designed to resemble a mountain. We were beyond excited to photograph the building in December for our Secrets of 70 Pine article, and we are pleased to be able to provide access to our readers this month. This tour has very limited capacity! See more photos from 70 Pine here.